All four events were played on a knockout basis. Matches were the best of 7 games, except for doubles events up to the quarter-finals, which were the best of 5 games. There were a maximum 64 places in the first round of the singles events and 32 places in the first round of the doubles events. The top 32 seeds in the singles events and the top 16 seeds in the doubles events started in the first round. Qualification rounds were in groups, using a knock-out system, in order for 32 players to qualify for the singles events and 16 doubles pairs to qualify for the doubles events and join the top seeds in the first round. How many players could each country send? Any other Association could enter up to 12 players for the individual events, consisting of not more than 7 men and not more than 7 women. Within these limits different players may be entered for the singles and doubles respectively. 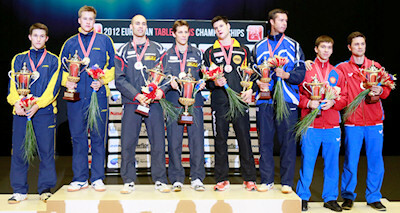 Seeding for the individual events was based on the last World Ranking List published before the European Championships. Seeding for the doubles events was based on a seeding list prepared by the Ranking Committee. 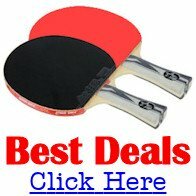 What table tennis equipment was used? The table tennis tables were supplied by Donic, the table tennis balls by Nittaku and the flooring by Gerflor. 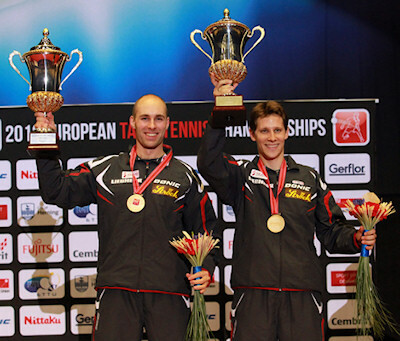 The last European Table Tennis Championships were held in 2011 in Poland and the mens doubles winners were Marcos Freitas from Portugal and Andrej Gacina from Croatia and the runners-up were Alexander Shibaev and Kirill Skachkov from Russia.